More power to you for trying to think through a question that is surprisingly sticky. 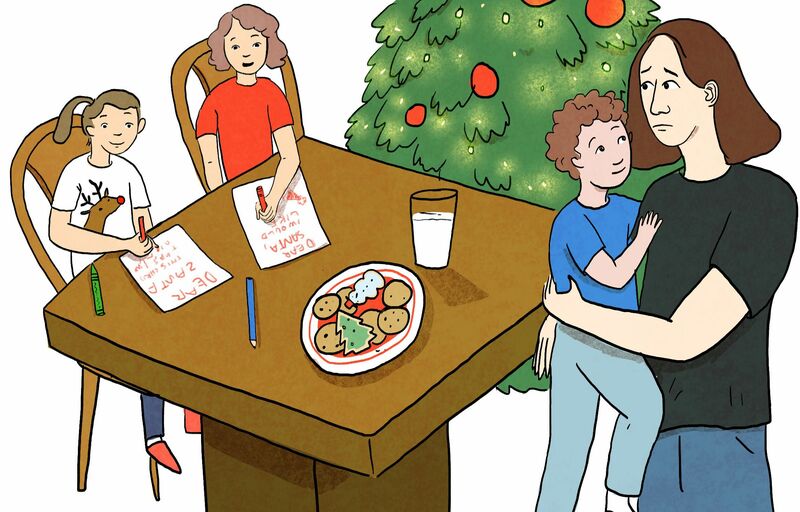 Another young mother who lives in circumstances nearly identical to the ones you describe, recently reported that she told her three year old son “Santa doesn’t visit us because we are Jews.” Having recognized that Santa is an American cultural hero especially for children, this Jewish mother chose to teach her child that Jews have a different way of relating to Santa. She might have softened the difference by telling her son that Elijah, the prophet visits each Jewish home during the Passover seder and listens to us tell the story of our escape from slavery. We Jews, she could have said, are visited by Elijah, Christians by Santa. But to teach a Santa-Elijah parity may be a mistake. For Santa functions as the patron saint of shopping malls, a cartoon confirmation of our economically useful belief that love can be purchased, wrapped and delivered, while in Jewish folklore Elijah often turns up as a homeless stranger seeking hospitality, a place at the Shabbat table. We have learned to use Hanukkah as a bulwark against the allure of Christmas, to offer our children eight nights of gift-giving as a way of dispelling a sense of being excluded from the season of “peace on earth good will toward men.” But we know that the art of living as a Jew in the Diaspora has always entailed, in varying measure, an ability to stand apart. How do we teach our children (which is to say ourselves) that it is okay to be different? There may be no question of greater urgency today facing not only our people, but our very species. How does each human being come to recognize his or her uniqueness without losing the fundamental connection to humanity?